The Global Campaign to End Child Immigration Detention together with Insan Association launched the Lebanese “Next Gen Index” in Beirut, 4th September 2018. 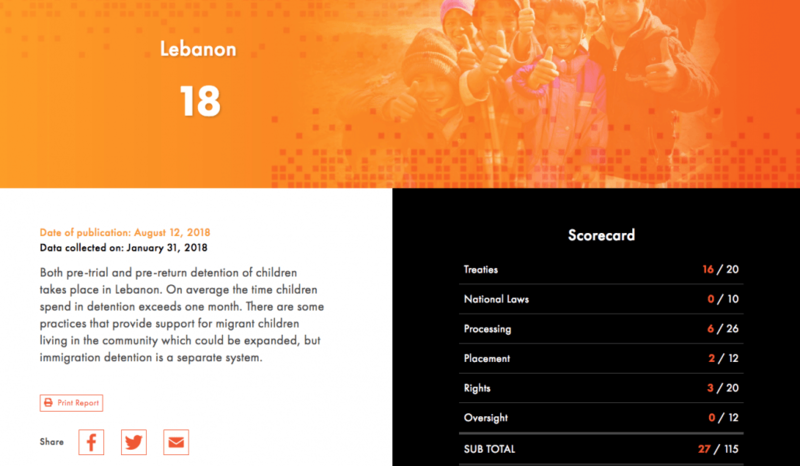 The Next Gen Index is an important advocacy tool that ranks States on their progress in ending child immigration detention, and Lebanon came second last, behind the US, with 18 points. The event about the Next Gen Index created space for a conversation about child immigration detention, using the standard scoring framework to reflect honestly on the situation in Lebanon. The Lebanon country report highlights strengths in the migration management system, and also suggests practical ways to make change. Among the positive practices highlighted in the Next-Gen Index is the incorporation of refugee children into the Lebanese education and primary health care systems. For more insights into key trends across the 20 countries scored in 2018, download the Global Trends report here. The Next Gen Index will be updated annually. Mariella Acuña from Insan shed light on the scoring process where several Lebanese NGOs and community groups came together for half a day to assess if Lebanon’s laws, policies, and practices are sensitive to the needs of migrant children. 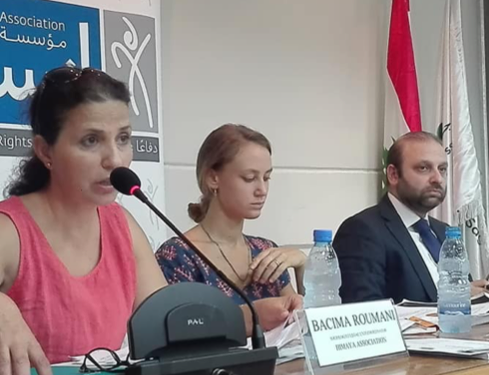 Bassima Roumani, a sociologist and the coordinator of the legal unit at child’s rights NGO Himaya Association, provided insight into the process of arrest, imprisonment, and trial of national and non-national children in the Roumieh juvenile prison. She raised concerns that alternatives to imprisonment existed, but authorities were not responsive. The term “alternatives to detention”, is not yet a prescribed term, and in this event it was considered in its most narrow sense: as means to divert children from detention once they had been apprehended. However, the IDC has a broader definition of alternatives to detention, and is therefore not only interested in the processes involved in people being released from immigration detention, but also interested in the general reception systems in place that ensure immigration detention is not used at any part of a child’s migration process. The IDC is happy to see that such alternatives to detention do exist in Lebanon, especially for refugee children, and is eager to support the Lebanese government and civil society in expanding the good practices to include all children. A Breakthrough as UN Leaders Commit to Work to End Child Immigration Detent... How many children are in immigration detention, right now?